Wow your family and guests with this durable wood that has rich color variations and appearances. Hickory offers a variety of looks for your unique space. Since it is the hardest domestic wood, hickory is a popular species among pet families and non-pet families alike. "I still look at our hardwood floor, many months after installation and go "WOW", should have done this years ago. 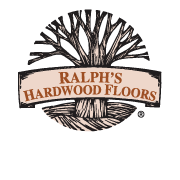 Our hickory hardwood flooring is beautiful"